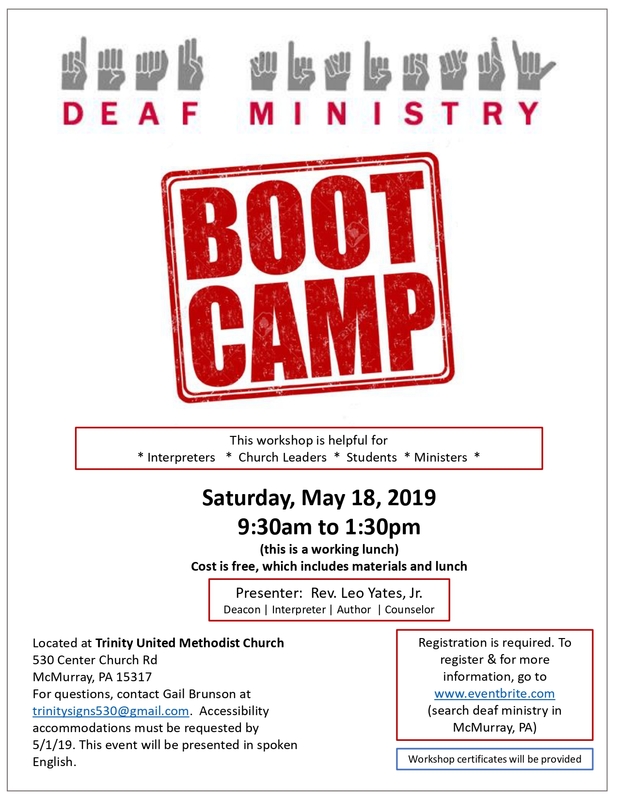 A Deaf Ministry Boot Camp will be led by Leo Yates jr at Trinity UMC, McMurray PA, on May 18. It will begin at 9:30 a.m. and finish at 1:30 p.m. Lunch is included, but registration is required. See the flyer for details.